When shipping internationally, packages are charge based on either volumetric or actual weight, whichever is greater. Volumetric weight (also known as dimensional weight) is the amount of space a package occupies in a given area. 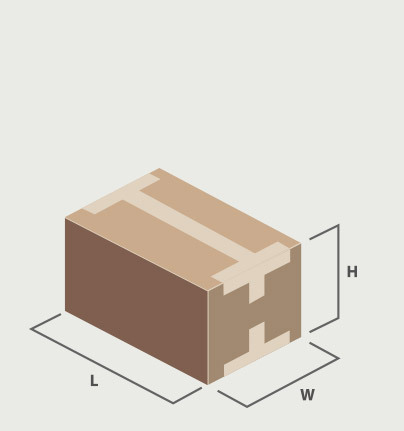 The space required to transport a low-density item is the same as the space taken up by a high-density item in a package of the same dimensions. To illustrate the difference between volumetric and actual weight, consider the following example. There are two boxes, each the same size. One is filled with golf balls and the other is filled with ping pong balls. The box of golf balls would likely be charged by its actual weight while the box of ping pong balls would be charged by volumetric weight. Why? One box is heavier than the other, so they will be charged differently in shipping fees. The box of ping pong balls takes up the same dimensional space as the golf balls, but because the box of ping pong balls is lighter, it’s a less efficient use of space. As a result, the box of ping pong balls will be charged by volumetric weight. Volumetric weight is calculated by multiplying the length by width by height of a package and dividing the result by a volumetric factor. This volumetric factor varies with the unit of measure and with the carrier used to ship the package. You can use our International Shipping Calculator for a detailed estimate of shipping fees including taxes and duties. When using Go.Borderlinx’s cross-border technology and services, this Landed Cost quote will be guaranteed at time of checkout.